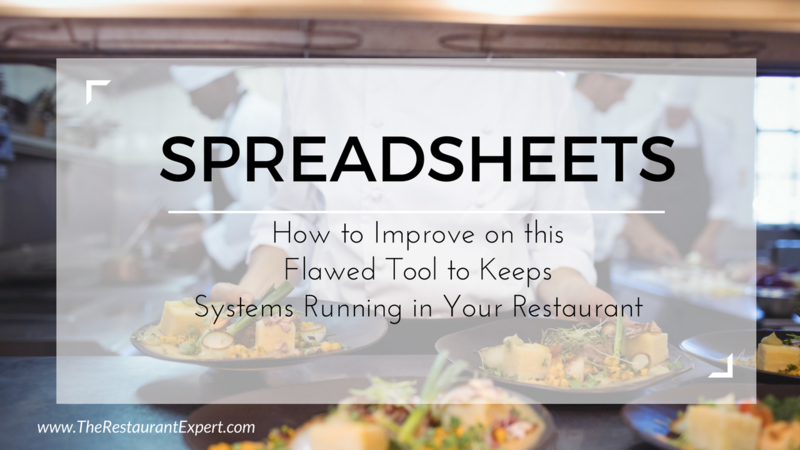 Let me tell you why restaurant spreadsheets are part of the past in managing restaurants. I’m sure you can make some guesses based on your use of them. For example, are you tired of constantly updating your spreadsheets and keeping up with all the fluctuating information you have to track? Wouldn’t you like to input your numbers once and control all of your numbers? What about all the things that can wrong with spreadsheets when managers who don’t know how to use the formulas make adjustments and all your data is lost or ends up being wrong? Watch this video to learn three main reasons restaurant spreadsheets are dead and what you should do instead. Back when I was managing restaurants, I loved Excel spreadsheets. I studied formulas and created the most amazing outcomes with spreadsheets. At the time, Excel was the height of technology. But that’s just not the case nowadays. They are dead! Here’s why spreadsheets aren’t your best bet for running your restaurant. 1. Numbers can be manipulated. Spreadsheets can be manipulated or a formula can be lost. It might be on purpose or it might be an accident, but it’s so easy to screw it up and not see it. Then you’re using that spreadsheet and that formula and getting inaccurate results day to day, week to week and month to month. 2. Multiple versions of the same document make it hard to keep it reliable and valuable. One is on your computer, one is on Chef’s computer, your general manager copied it and saved it under a new name on your other computer, etc. It’s hard to ensure you’re working with the most up-to-date version of the spreadsheet. 3. Recipe costing cards are outdated immediately. 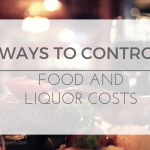 No matter how much time you spend on your recipe costing cards, as soon as a delivery comes in and the prices change, and your recipe costing cards are out of date. This kind of effort is exhausting and leads to procrastination so bad that eventually your recipe costing cards are completely out of date and completely useless. The man hours required to keep up are just too much. First and foremost, please don’t be offended by my criticism of restaurant spreadsheets. If you’re using them to run systems in your restaurant, I applaud you. Any system you use on a daily basis is critical. I simply want to point out that there is a more efficient way to run systems in your restaurant. All software is not created equal. Look at SMART Systems Pro for the independent operator and have a complete restaurant management software program supporting you. If you’d like to learn more, call us so we can show you how we tie all your systems together and give you the ability to hold your managers accountable: 877-457-6278, ext. 106. You can also request a free 15-minute consultation so we can get to know your restaurant’s needs better and figure out how you can benefit the most from our software and coaching. 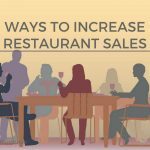 To learn more about the importance of systems and how it can drastically improve your restaurant, read our special report, Breaking Away from the Insanity: How to easily take control of your restaurant and make more money. Download it here. Great article! What about free / low cost options? Good article. Yeah spreadsheets are a pain for trying to actually keep fluctuating data up to date. Thanks for sharing!